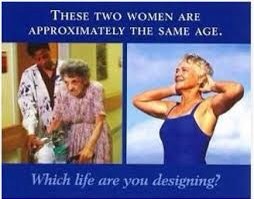 Put MORE LIFE in your years! 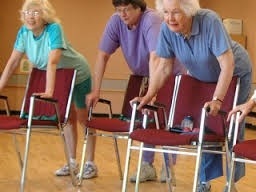 ﻿ It’s not that hard to get moving again, build confidence and make new friends. Come along any Friday for FREE session. No impact, moderate intensity session – if you can walk you can do this great workout. You will enjoy gently getting out of puff and feel exhilarated burning a few calories. Seated and optional standing exercises to improve posture, strength and joint mobility. 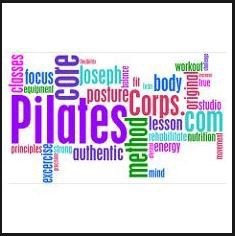 Functional, Yoga and Pilates based movements are included to maintain independent living. £3.00 per meeting plus £10 annual membership. Monthly Raffle, Walks, Lunches and Outings. Affiliated to the British Heart Foundation. For more details and to arrange a FREE Trial any Friday. 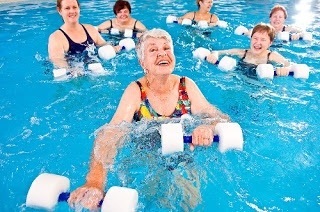 Aqua exercise for Super Seniors (and youngsters too). 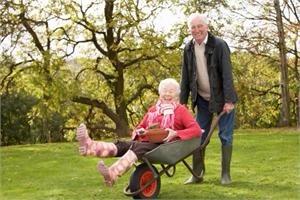 A great way to keep fit, meet people and make friends. This fantastic Saline pool has stairs and rails to aid entry and exit if you don’t like ladders. A lift to all floors if you don’t like stairs. Lovely changing rooms, refreshments included. £32.00 for both sessions over 4 weeks. 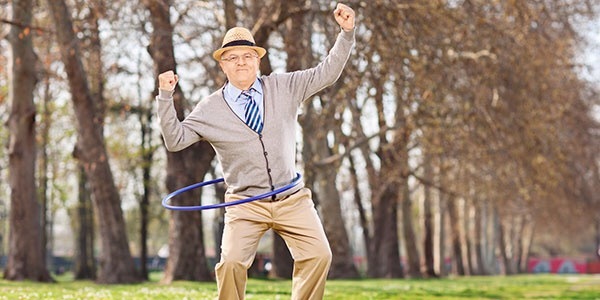 Get Active with us and put more life in your years! Come along a few minutes early to meet your instructor – Jackie.